Bulgarian saxophonist and clarinetist Lubo D´Orio arrived in Berlin somewhere in the mid to late 30s. After playing in various well known bands he put his first orchestra together in 1940. After the war his new band was a favourite with the US Forces. Few other German groups were able to come as close to the sound of the modern popular American swing bands as the Lubo D´Orio orchestra. 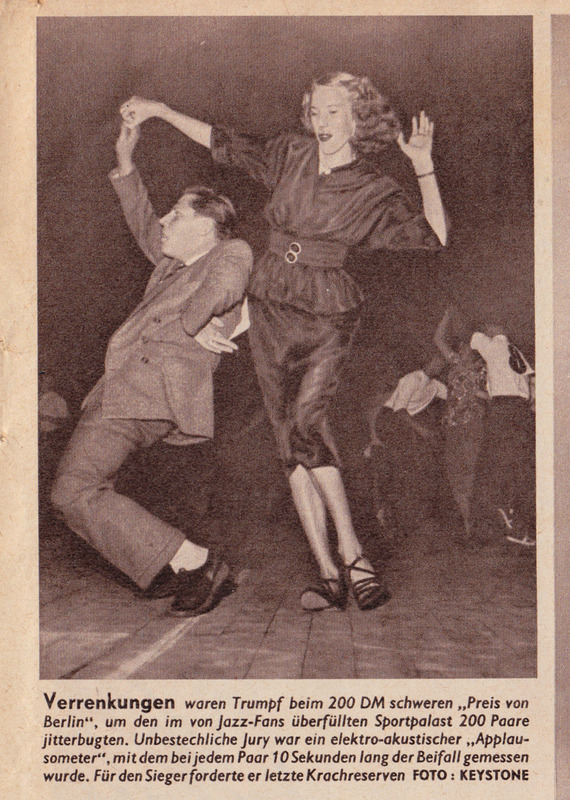 In the late 40s and early 50s thousands of people came to the Sportpalast to see his band play the popular “Boogie Woogie Dance Competitions”. Musically this is somewhere between swing and rock´n´roll. 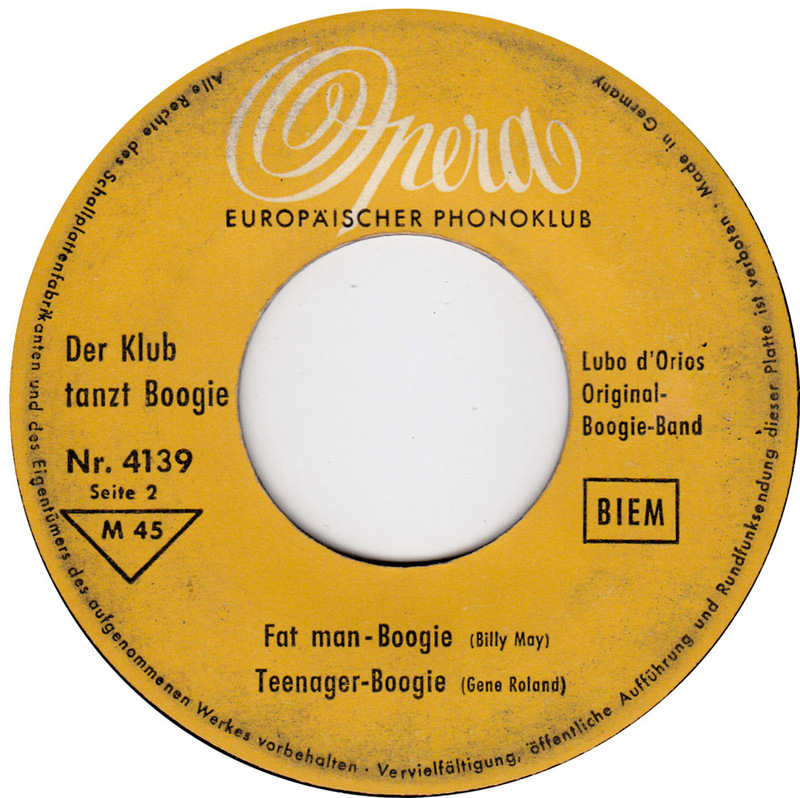 While the band´s name was still remeniscent of “Teddy Stauffer and his Original Teddies”, the great German big band swing legend of the 1930s, the music on this EP was geared straight towards teenagers. 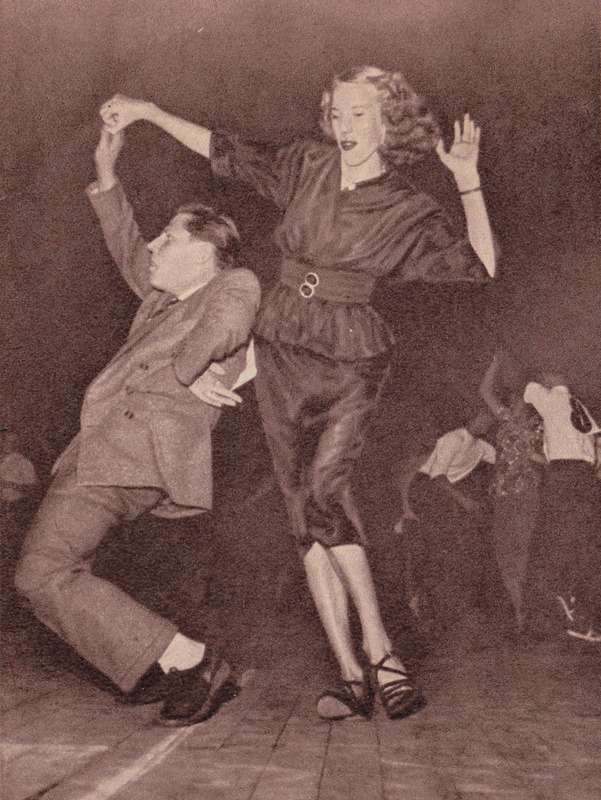 Tellingly Lubo D´Orio´s second EP for the German Opera label was a medley of Bill Haley´s hit records. 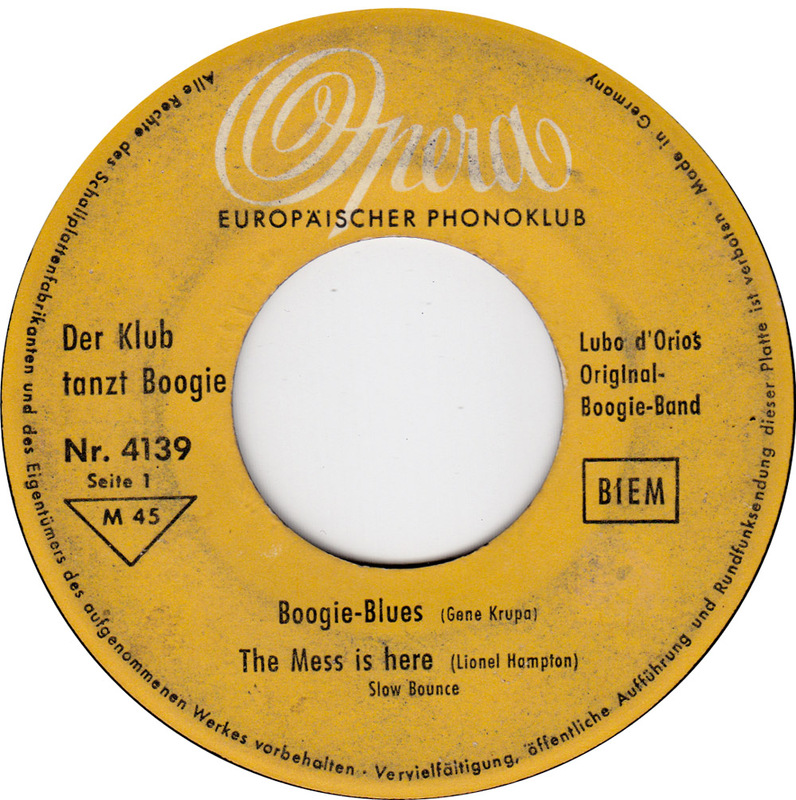 Most of Lubo´D´Orios post-war swing material has been re-issued on the German “Killer Diller” CD but so far these four cover versions have never seen a re-release in any format : Gene Crupa´s “Boogie Blues”, Lionel Hampton´s “The Mess Is Here”, Billy May´s “Fat Man Boogie” and Dan Terry´s “Teenager Boogie”.